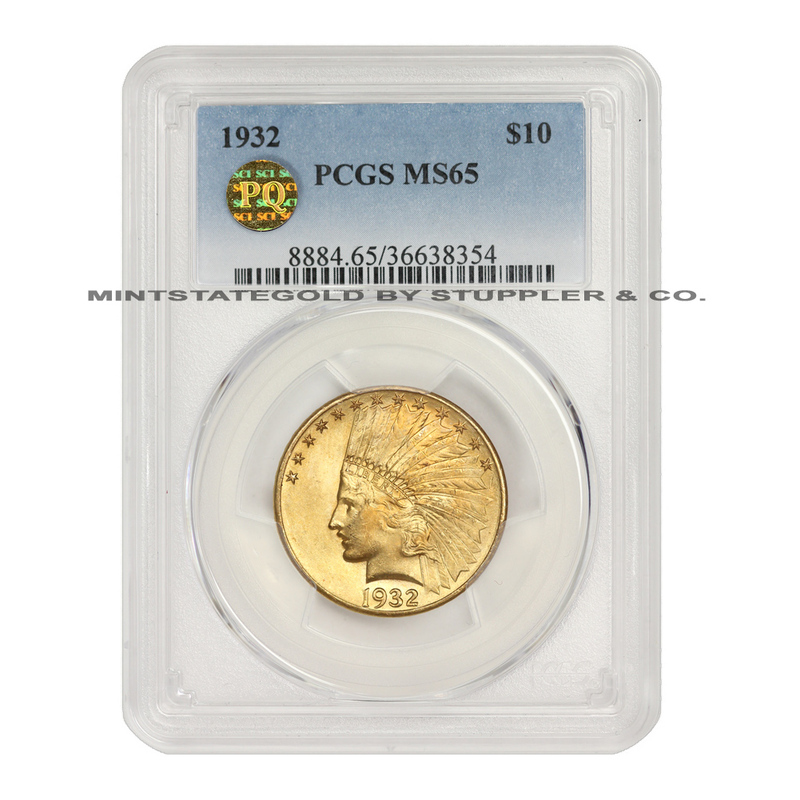 This 1932 $10 Indian Head Gold Eagle has been graded Gem MS65 by PCGS and has recieved PQ Approval. The luminous gold surfaces of this $10 Indian are a stunning compliment to crisply struck devices. A full cartwheel of original mint luster highlights rich details. 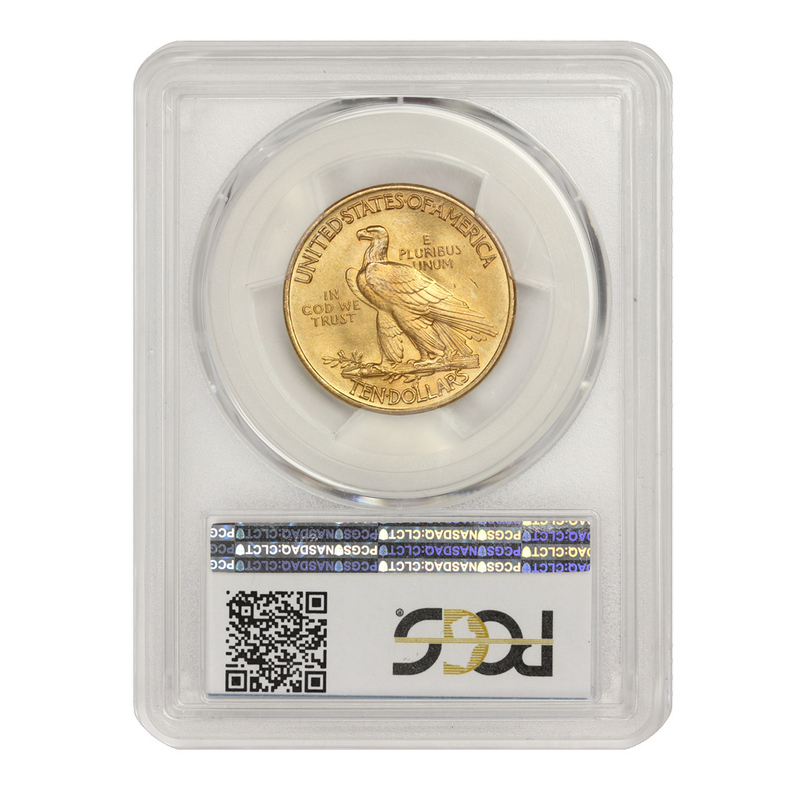 This well defined Gold Eagle has terrific eye-appeal and is sure to please. This outstanding investment coin has also been awarded the prestigious PQ Approved sticker for its impeccable condition. A PQ Approved sticker is awarded to exceptional coins that pass a strict grading standard. PQ Approved ensures you are buying the highest quality coin, which historically has proven to offer the best appreciation and liquidity vs. non-PQ coins. For details on the value of the PQ Approved sticker please contact us or visit www.PQApproved.com.